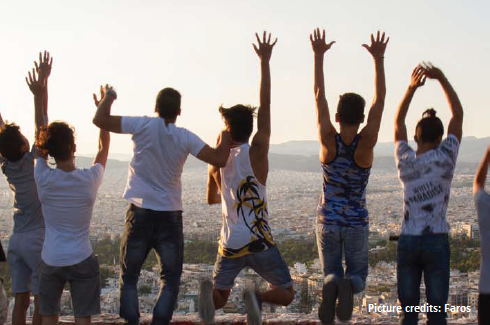 Children and youth on the move are still newly arriving to Greece – with and without their family – while many others who have arrived in the past years are awaiting status determination, relocation and/or inclusion into the Greek society in a system that is not always capable of ensuring their protection and to support the fulfilment of their potential. Through this call for proposals, EPIM’s “Never Alone” Fund in a collaborative effort with the John S. Latsis Public Benefit Foundation aim to contribute to building strong child protection systems relying on quality alternative care approaches that foster the inclusion of children and youth on the move in Greece. Strengthen and scale quality alternative care models that offer individualised, holistic, participatory and community-based support to children and youth. Through this, EPIM seeks to establish good practice, evidence gathering, and solution-based advocacy contributing to end institutionalisation and detention of children and youth. Supporting youth in the transition to autonomy and adulthood with a focus on access to formal education, vocational training, and/or the labour market. EPIM will support (a) project(s) for two years (2019-2021) with a maximum budget of 160,000 EUR. Please refer any questions you might have to EPIM Programme Officer Fanny Georges. Members get full access to our database of useful tools and resources. Frequently updated and, best of all, completely free.